Im Rahmen des europäischen Projekts “Small size, big citizens” ist der Small size seeding fund bis einschließlich 31. 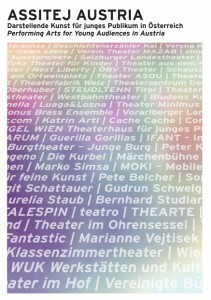 Dezember 2011 auf der Suche nach Einreichungen von europäischen Theatern, Gruppen und Einzelkünstlern. Gesucht werden Projekte und Produktionen für Kinder im Alter von 0-4 Jahren, die im Rahmen des Fonds unterstüzt werden. Direkt zur Homepage von smallsize.org. Through this Fund, intended for European companies, the Small size Network intends to support the creation of new productions, in order to extend and diversify the European theatrical offer for the 0-4 age group. The Small size Seeding Fund is not an award, but a way to support those who intend to produce shows for early years. This is why shows already produced are not going to be awarded; projects are instead selected and supported. b. professional companies working in the field of early years and whose work is recognised at a national and international level. 1. The selected productions and studies can by no means be co-productions and/or generate direct economic benefits for co-organisers and associated partners of “Small size, big citizens”. 2. The winners of this call for proposal cannot apply for the 2013 call. – allowing the use of the Small size logo as well as the Culture Programme one for the promotional material relating to the supported project (posters, brochures, etc). A third call for proposal for the project “Small Size, big citizens” will be issued, its deadline being Spring 2013. 4. Shows produced by European companies (not only of the European Union) from countries not represented in Small size, big citizens. This production can be of any performing art. Applicants shall specify, in their application, for which category they intend to apply, giving only one choice. If they fail to indicate the category or indicate more than one, they will be excluded from the selection. If a lower number of projects is selected due to the lack of appropriate proposals, the funds will be charged to the next call for proposal. If no proposal is submitted for one of the categories, or if, for one of them, it is not possible to identify a high-quality proposal, support will be granted to the best projects presented in the other categories, up to a maximum of 4. Incomplete documentation will not be taken into consideration. In the application, participants can include a selection of material documenting previous activities (dvd’s, photographs, articles or pieces of research), useful for assessing originality and quality. – Estimated cost (payments and reimbursements) for additional performances of the show within a Small size Festival, after the premiere and the first presentation to a Small size festival as established by this call for proposals (see art. 4 and art. 10). – Premises in which the productions can be performed; if it will be possible to present them in schools or in other premises (not technically equipped); if darkness is needed or other requirements. – Small size Festival(s) in which the participants would like to take part. Documents will be deemed valid from mailing date. The projects will be selected by a committee composed by the partners of the project “Small size, big citizens”. Every selected project will be presented during a Small size Festival. There is a maximum of 3 (three) performances over maximum 3 (three) consecutive days; no additional payment will be granted, but only the reimbursement of travel expenses, meals and accommodation. As for travel expenses and transportation, if applicants use their own means of transport, reimbursement will be paid per kilometre as per EACEA’s guidelines, i.e. Euros 0,22/km. Expenses for meals and accommodation are meant for the day of arrival and the days in which performances are held. Any additional performance will be agreed upon by the applicant and the organiser of the Festival, who will have to refer to the cost estimate as per art. 7. The applicants selected will have the opportunity to take part in up to 2 festivals and also have their expenses reimbursed. However, the organiser shall cover the expenses for board and lodging for at least two more days than those of the performances. In this way, applicants can give increased visibility to the project and, at the same time, gain a deeper insight into the world of Small size. The Festival indicated by the applicant is merely indicative (see Art. 7). During the selection, the Festival in which the production will be presented will be chosen, trying to satisfy the applicant’s request keeping in mind that there is the need to present the different productions supported by the Small size seeding fund in as many Festivals as possible. A reference person chosen among the partners of “Small size, big citizens” will be assigned to every selected project. The reference person is not to supervise the participant’s work or production process, and any expense that may be necessary shall be borne by the participant.